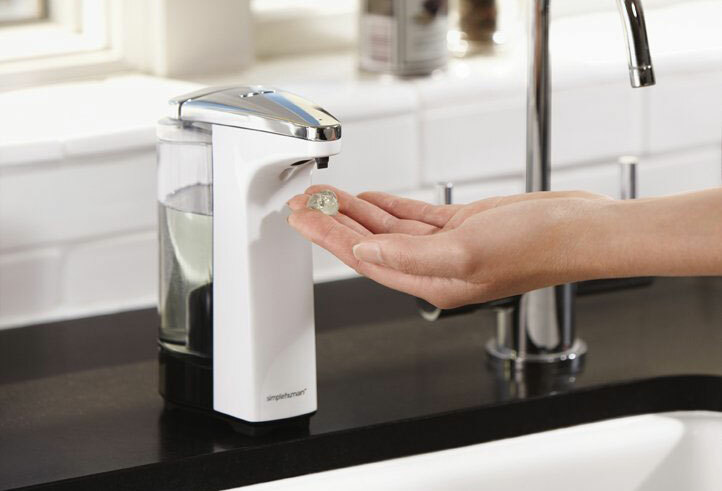 Automatic and touchfree/touchless soap dispensers allow you to get soap without evening having to touch the dispenser itself, no push pumps or buttons, just place your hands underneath and soap is dispensed, just enough to allow you to clean your hands so there is no waste or spillage. Simple human make beautifully designed, clever and very functional products and have done just that with this Brushed Nickel Sensor Soap pump. 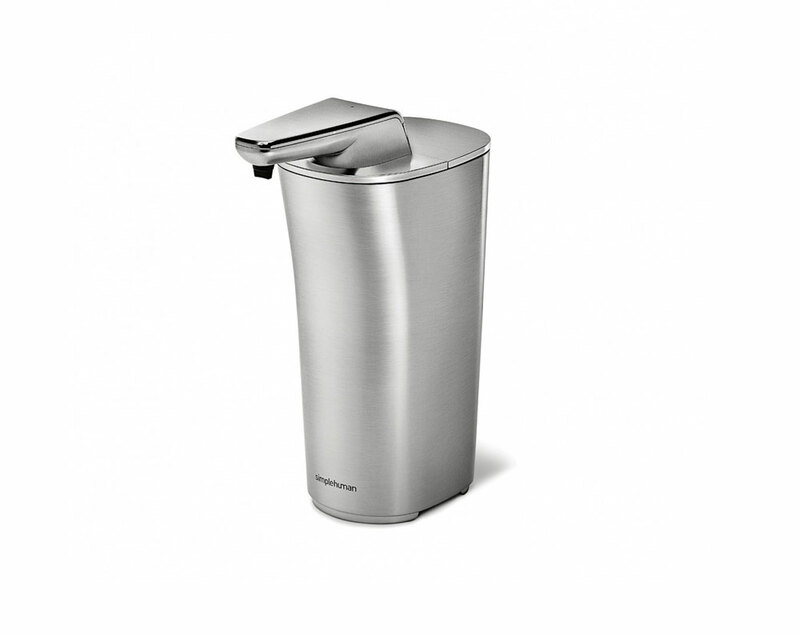 A touch free and automatic soap dispenser that has a brushed nickel finish on the outside. The casing itself is plastic, however you cannot easily tell.